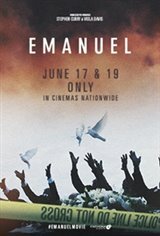 Emanuel, from Executive Producers Stephen Curry and Viola Davis, is a poignant story of justice and faith, love and hate, examining the healing power of forgiveness. Features intimate interviews with survivors and family members - June 17 only. On June 17, 2015, national headlines blazed the story: Churchgoers gunned down during prayer service in Charleston, South Carolina. After a 21-year-old white supremacist opened fire in Emanuel African Methodist Episcopal Church, nine African Americans lay dead, leaving their families and the nation to grapple with this senseless act of terror.